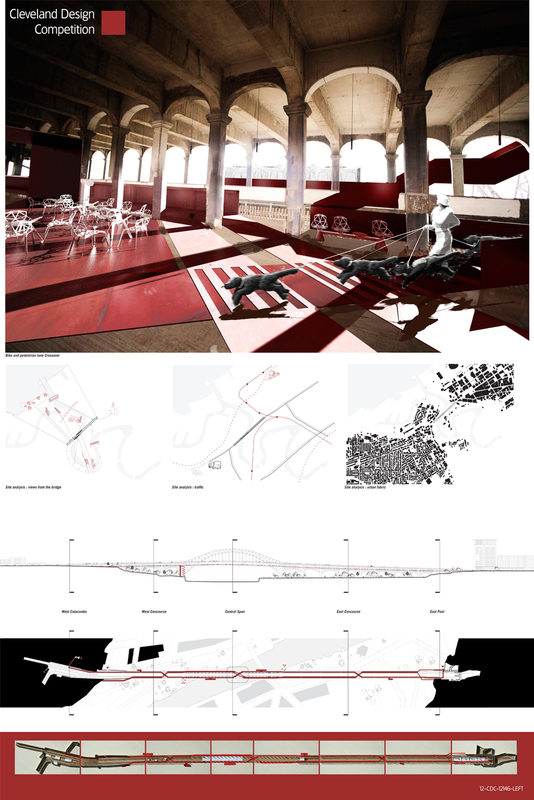 Overview: The Bridge is a found condition of remarkable spatial complexity and through the incorporation of discrete new circulation routes this proposal prioritises the experience of the existing fabric while supporting the deployment of permanent and temporary installations along the full length of route. 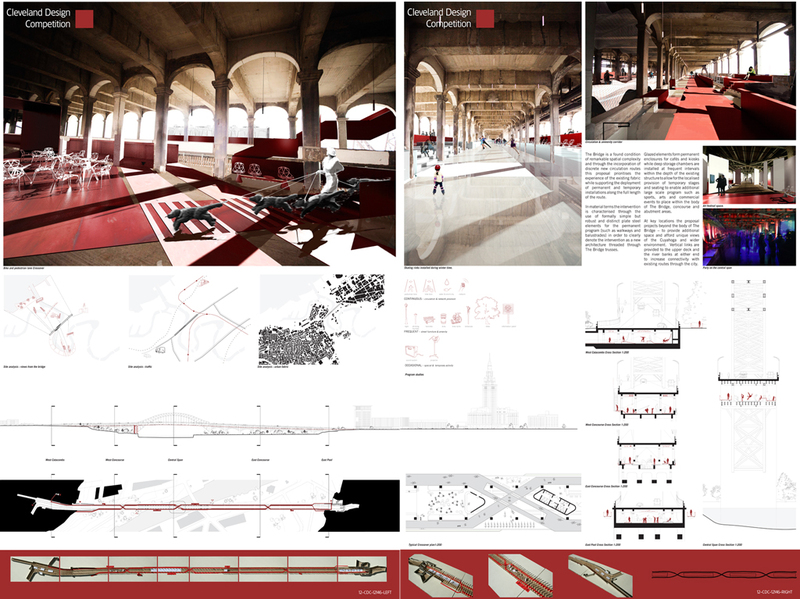 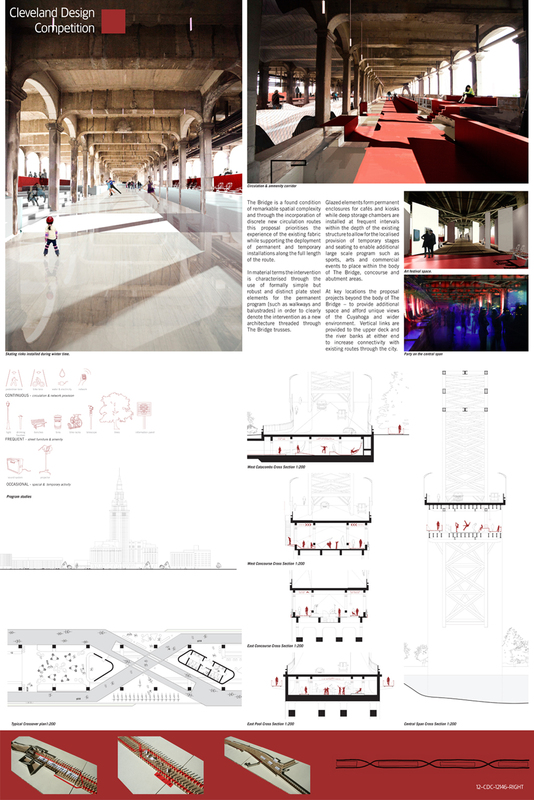 In material terms the intervention is characterised through the use of formally simple but robust and distinct plate steel elements for the permanent program [such as walkways and balustrades] in order to clearly denote the intervention as a new architecture threaded through The Bridge trusses. 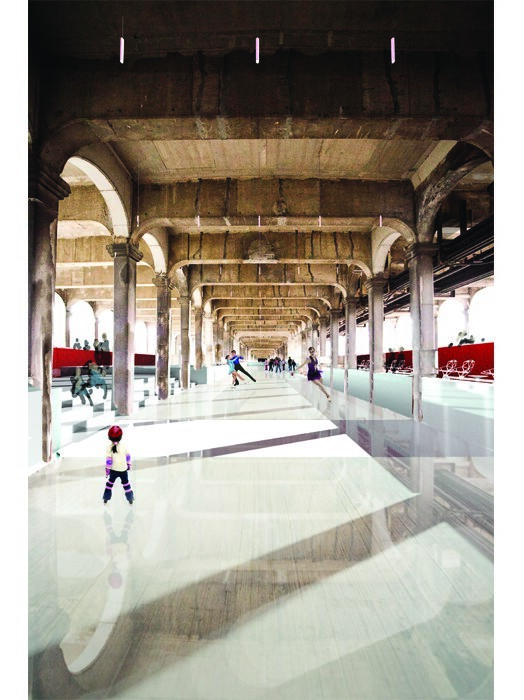 Glazed elements form permanent enclosures for cafés and kiosks while deep storage chambers are installed at frequent intervals within the depth of the existing structure to allow for the localised provision of temporary stages and seating to enable additional large scale program such as sports, arts and commercial events to place within the body of The Bridge, concourse and abutment areas. 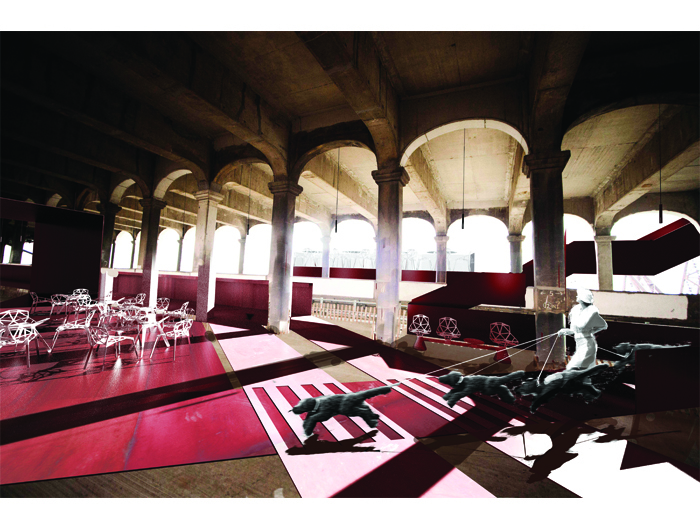 At key locations the proposal projects beyond the body of The Bridge – to provide additional space and afford unique views of the Cuyahoga and wider environment. 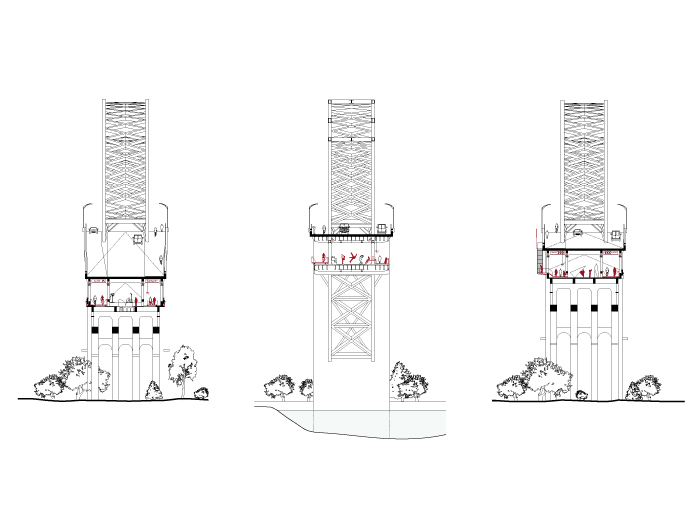 Vertical links are provided to the upper deck and the river banks at either end to increase connectivity with existing routes through the city.